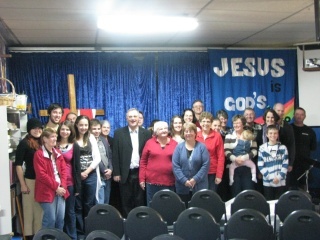 I am a pastor in the wonderful town of Narrabri, NSW. My church, New Life Christian Fellowship is growing in its understanding of how to be an authentic community of Jesus followers in 21st Century Australia. I have lived here since 1991, am married and have 4 awesome (grown up?) children. In April, I will publish a book entitel Red Lines in the Gospels. The book will be accompanied by a CD-ROM. I would like to include in that CD the nice drawing about the ten lepers in Luke 17,11-19. Can you give me permission to use that image for the CD-ROM? The Publisher will prnt only some five hundreds copies, an he does not have a much money for copyright. The picture has clearly been shared wide and far.